Coles Bay is abundant with adventure, just 30 minutes drive south will take you to the home of Wineglass Bay. The walk itself will take you about 1.5 hours to the lookout and back, or approximately 2.5 hours to the beach and back. Allow yourself an extra 40 minutes if you plan to walk to the southern end of the beach (well worth it in our humble opinion!). Coles Bay is also host to some fabulous activities, you will find Sea Kayaking, 4 Wheel Motorbikes, walks and beaches and a day cruise to Wineglass Bay. 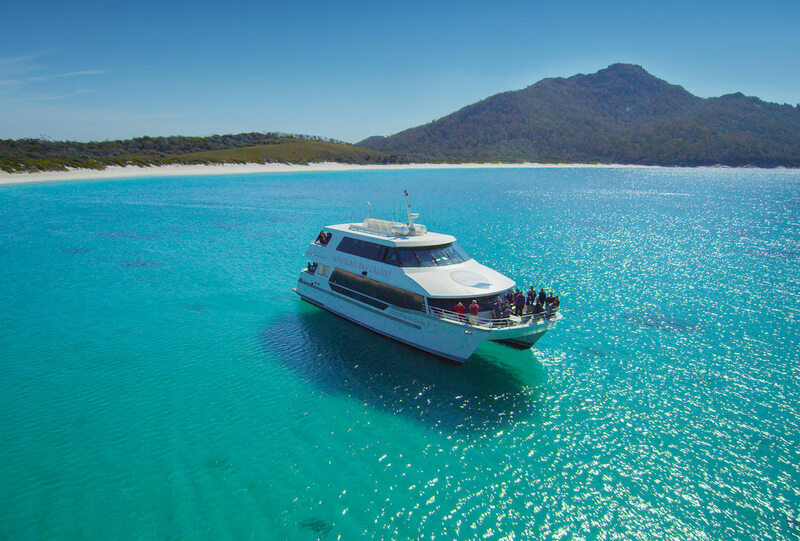 On the way, you will as Freycinet Air, a particularly stunning way to vew the peninsula. And Friendly Beaches, where the white, soft, squeaky sand is perfect for sitting and burying your toes. Grab a blanket, and a thermos if it’s cool, and enjoy the solitude. It’s generally a pretty quiet place to be. It is a local surf break so you may end up with front row seats. Again, heading south you will find stunning vineyards and cellar doors, each unique in their own way. The First vineyard you will come to is Freycinet Vineyard, very briefly after which will appear Devils Corner. Further south, you will find Milton, Gala, Spring Vale (Also home to a particularly Splendid Gin), and by appointment, Craigie Knowe. If you would prefer not to drive, you can arrange a tour with Long Lunch Tour Co. The owner, Brad Bowden, is passionate, knowledgeable and charismatic! Don’t forget – for a comprehensive display of wines available on Tasmania’s East Coast, you can call in to the Farm Shed, (Walking Distance from Cod Rock Point). They have wine form all of the vineyards listed above, and more. Some of our boutique vineyards do not have Cellar Door sales at all so the only way you wild find them will be at dinner in one of our Restaurants, or at The Farm Shed.